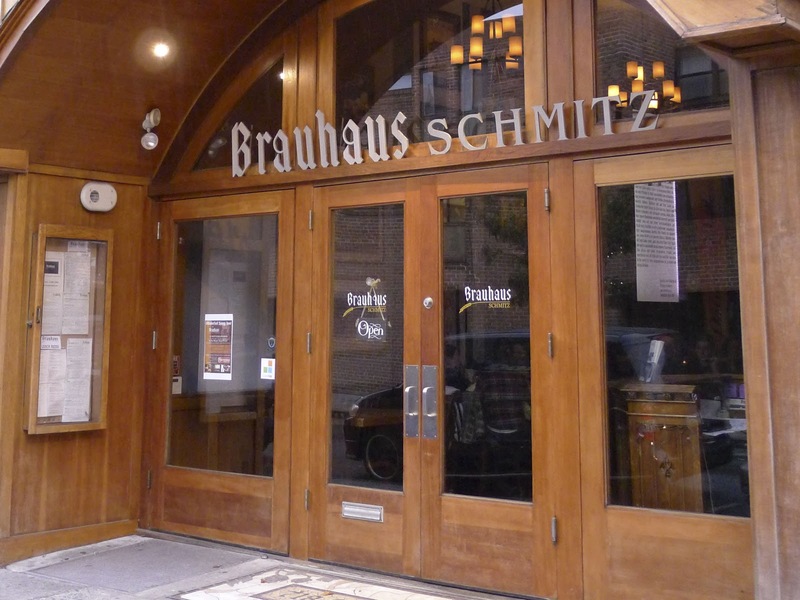 Just in time for the end of our Oktoberfest contest with CityEats comes a review of Brauhaus Schmitz. 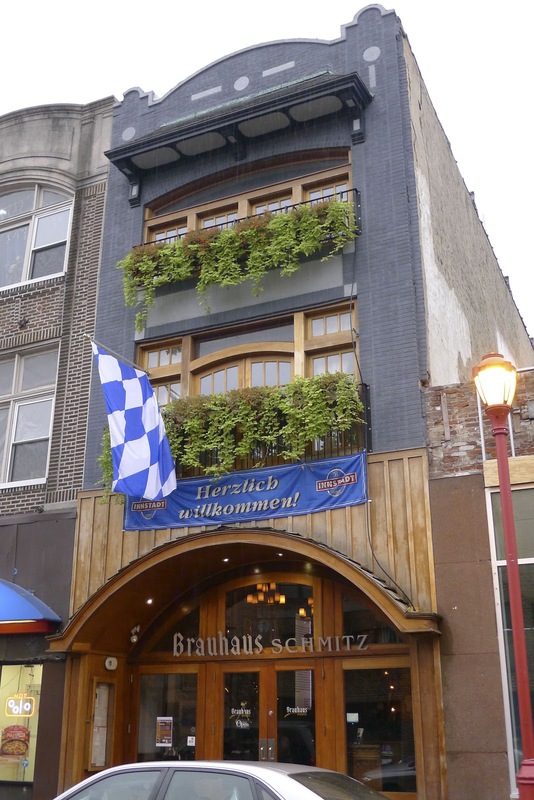 Brauhaus is an anchor of the South Street community, a welcome reprieve for thirsty (and hungry) folks venturing down to the touristy, yet somewhat gritty section of the city. At least one of those sections. So if you aren't looking to buy a pipe, get your hair cut or braided, buy diamond jewelry that is Looney Toons character-studded, this may be just the place for you. 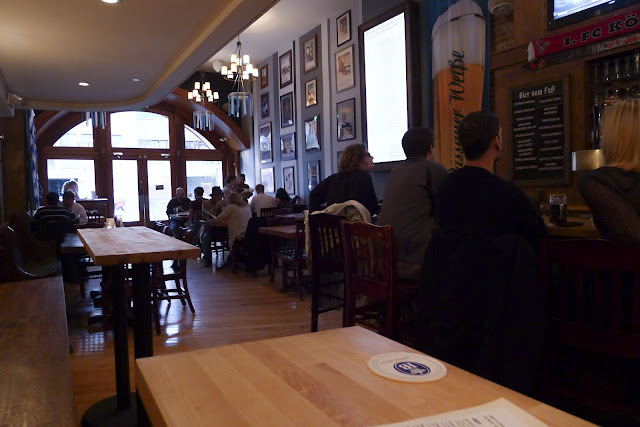 The interior is fantastic, with a strong German beer hall influence (obviously). 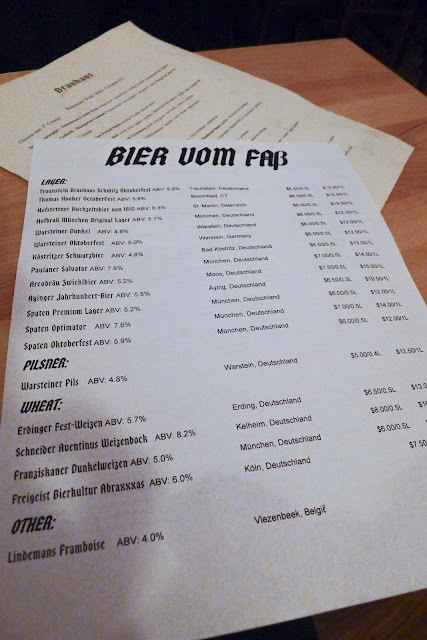 The draft list is extensive, heavy in the lagers, hefeweizens, and pilsners. You can get various sizes, from 12oz., to half liter, full liter, to das boot! The menu is reasonably priced, and has a wide variety of German fare. I love the ability to sample a number of items for $3 a piece. One of these offerings is the rollmops & sour cream on rye. 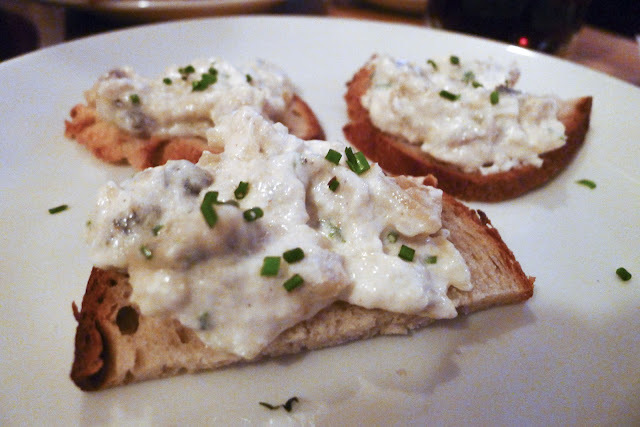 Rollmops are technically pickled herring filets that are rolled around some sort of filling like pickled vegetables and/or green olives, but in this case, their interpretation is more like a whitefish salad. There's definitely a briny undertone here, a tasty one. 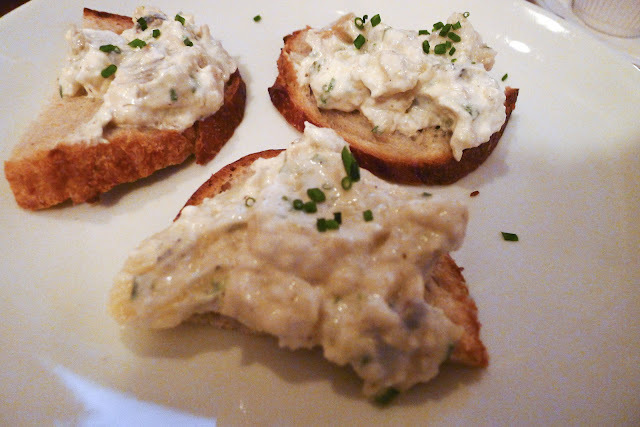 A combination of creamy texture and chopped pickled fish makes for a surprisingly good snack - and a "must try" at this price point. 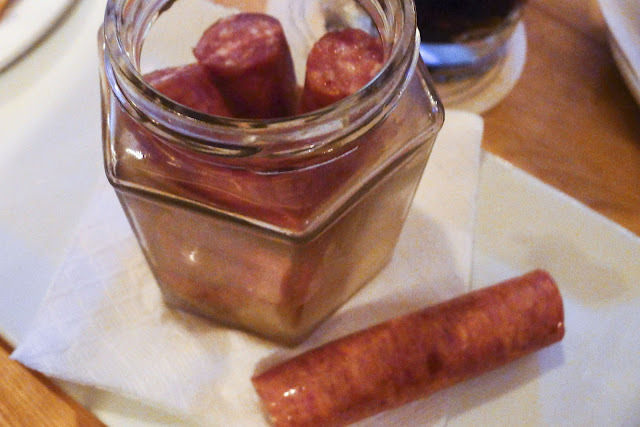 The landjager, or in this case, pickled smoked sausages, were certainly another surprise. A recommendation from the fabulous bartender, they were (dare I say it) another steal at $3 for four. They had a deliciously addictive, briny flavor, with a touch of smoke, and a nice (un)healthy balance of fat to meat. Delicious. 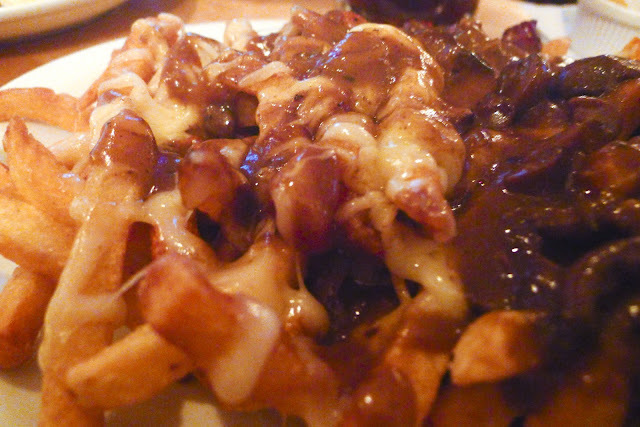 The gravy fries were more than plentiful. 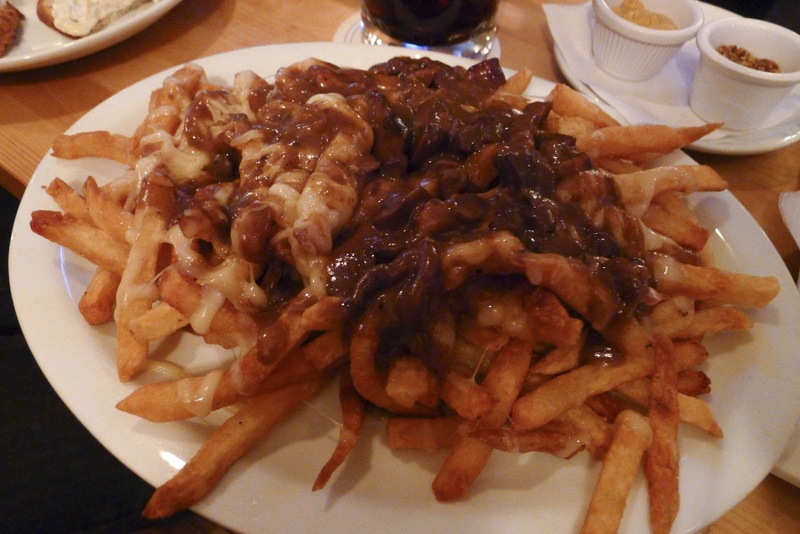 Smothered in brown mushroom and beef gravy, with a blanket of Emmenthaler, this was a maximum value at $7. The portion was seriously ridiculous. The fries were extra crispy, and the gravy was so deeply condensed, had it been taken any further I am sure it would have been burned. 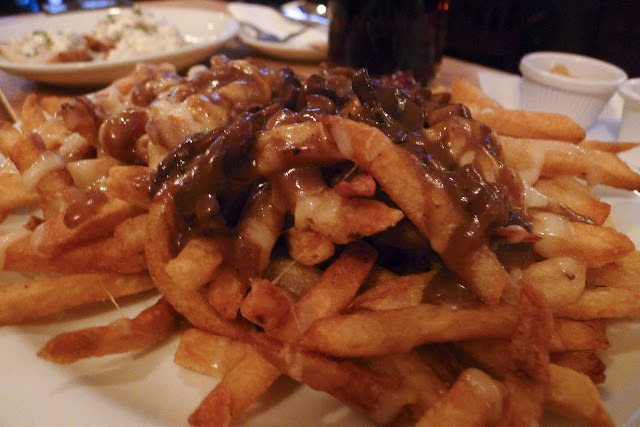 This is one hell of an order of gravy fries, and a delicious German nod to poutine. 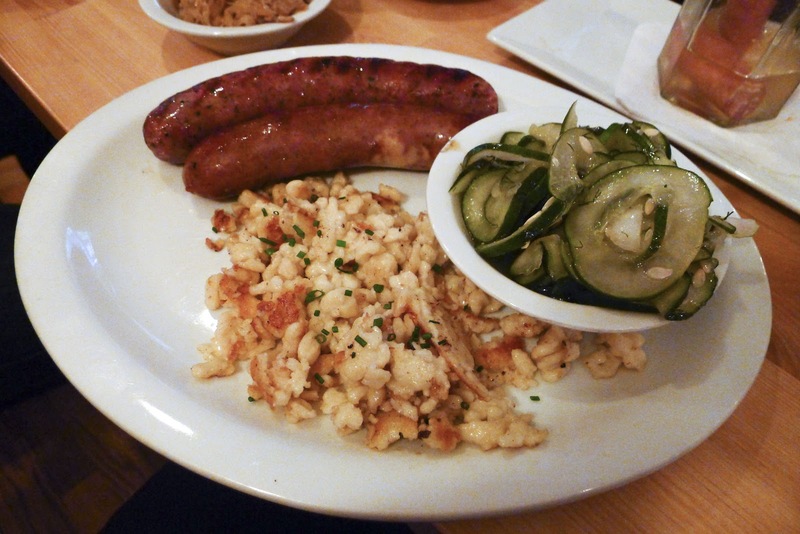 Every platter is served with a side or two, and as I went with a double wurst, I had to try the sauerkraut in addition to my two other (included) sides. The tart, tangy cabbage was no slouch, though the encased meats were so delicious they really didn't need any help. 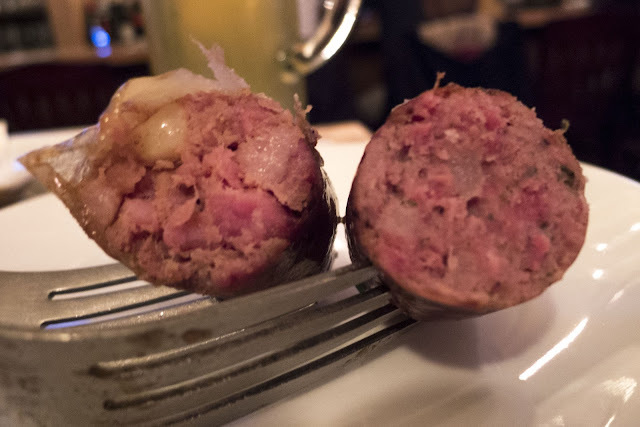 On the outside is the Bauernwurst, pork & beef, hickory smoked, with garlic, pepper, and mustard seed. This was by far my favorite of the sausages that day. The rich smokey flavor really permeated throughout, and the addictive snap of the casing was exactly how it should be. 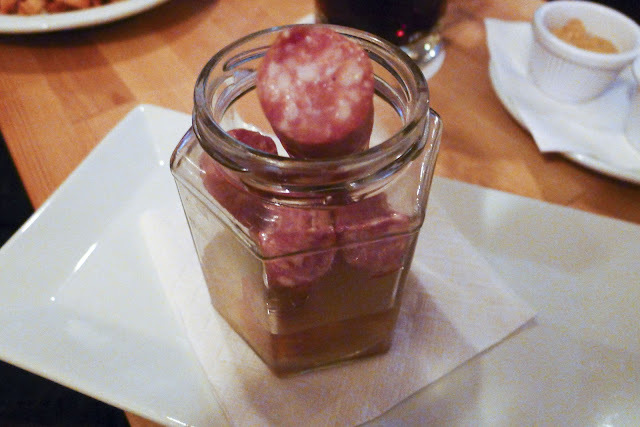 On the inside was the Käsewurst, pork-based with emmenthaler cheese, hickory smoked, and some garlic thrown into the mix. Surprisingly, the cheese didn't add much that wasn't already there. 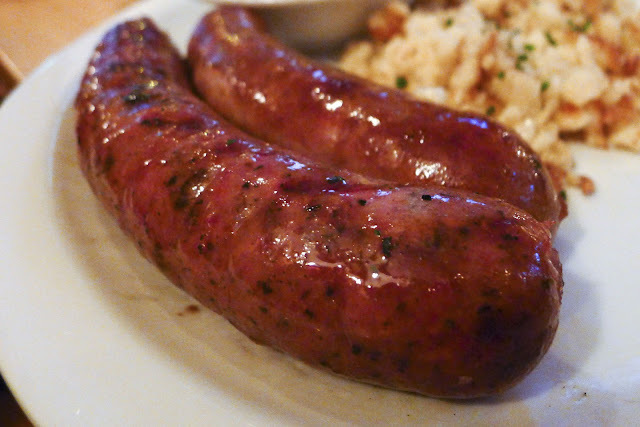 Don't get me wrong, this was a delicious tube steak as well, but I would highly recommend the Bauernwurst as top dog. 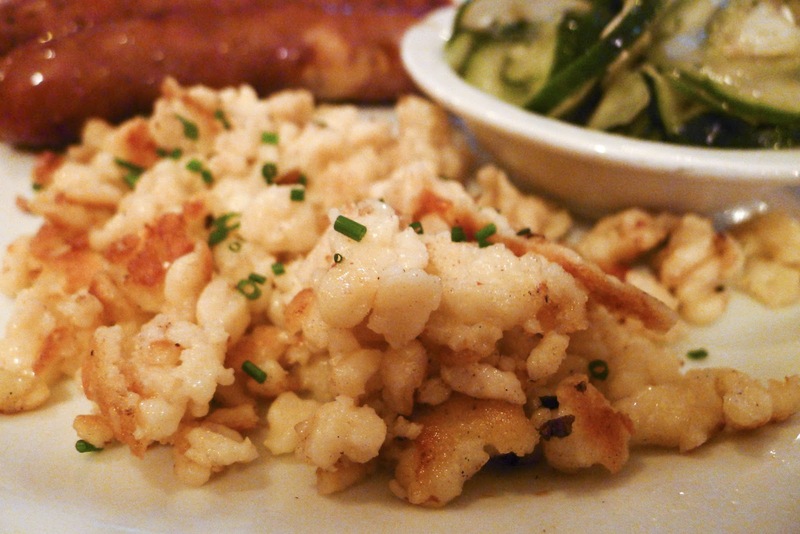 Now opposite sides, you can see a pocket of cheese on the left. 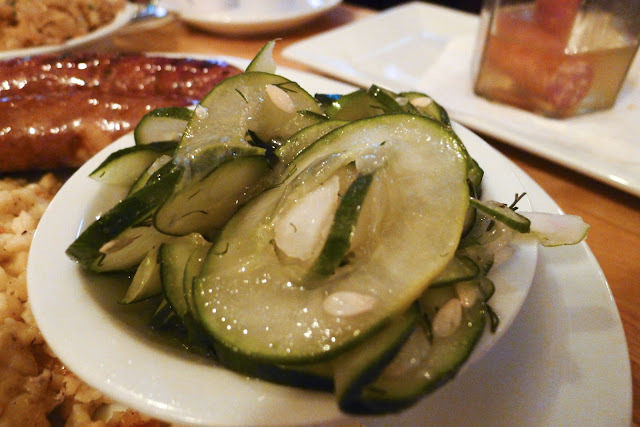 A side of pickled cucumber and red onion salad was another highlight, with the fresh crispy cukes contrasting with the inordinate amount of meat products I was consuming. 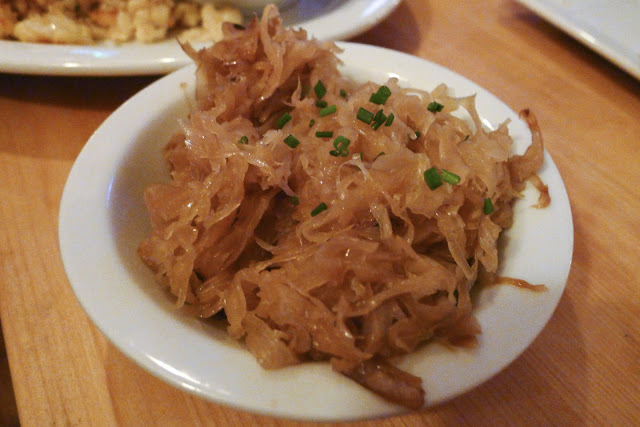 In addition, the spätzle, buttery rich, crispy fried egg noodles, were a big hit. 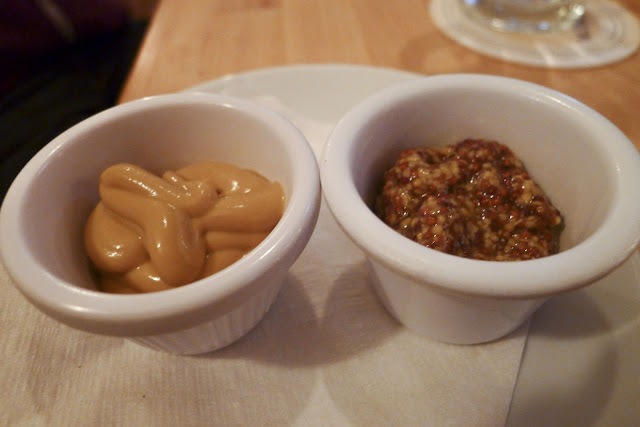 There were two types of mustard brought to the table, and both were delicious, but the stone ground really won my heart (which was struggling to beat at this point). 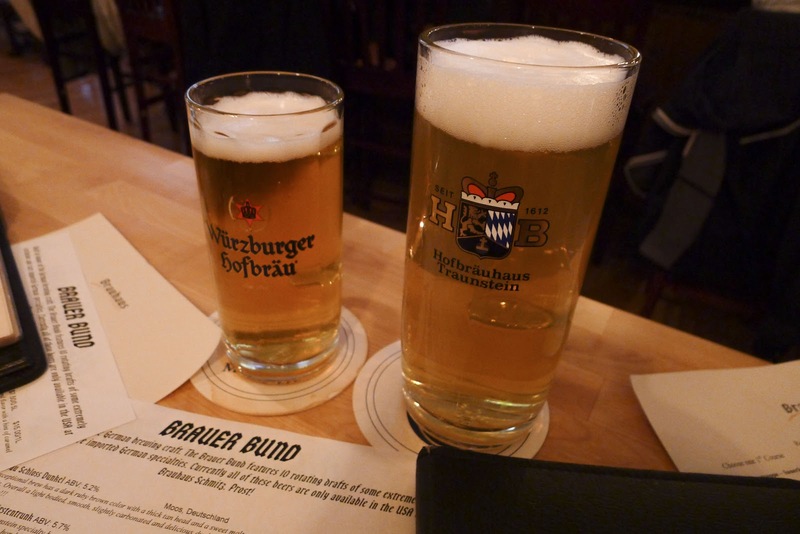 While there may be another German beer hall in Philadelphia with a slightly nicer atmosphere, this one takes the food category and runs away with it. I absolutely loved this place, and I can't wait for the winner of our contest to get a chance to eat, drink, and be merry. One word of advice, I learned the hard way, DO NOT play in a hockey game after consuming this much sausage and beer. 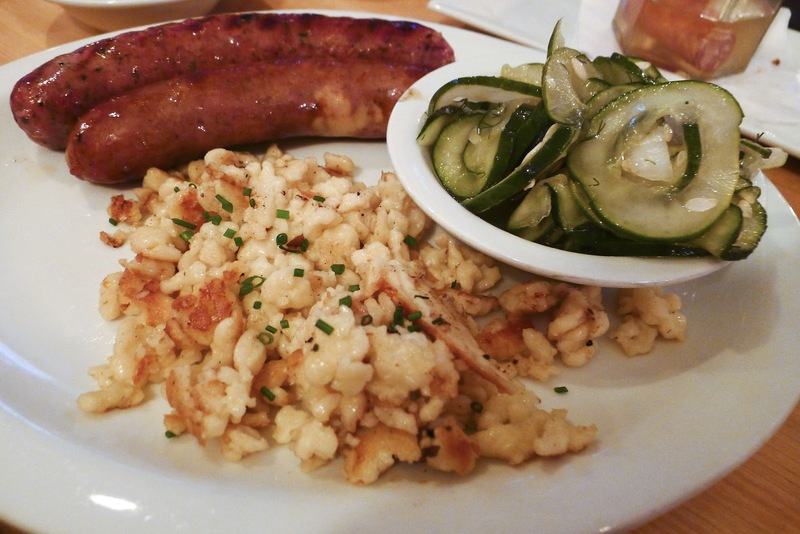 It was seriously the wurst.